← Outsourcing email to Google means SPF allows phishing? I’m getting increasingly cynical about our largest organisations and their voting-centred approach to democracy. You vote once, for people rather than programmes, then you’re meant to leave them to it for up to three years until they stand for reelection and in most systems, their actions aren’t compared with what they said they’d do in any way. 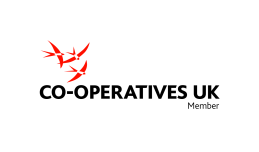 I have this concern about Cooperatives UK too, but then its CEO publishes http://www.uk.coop/blog/ed-mayo/2015-02-18/rebooting-democracy-case-citizens-constitutional-convention and I think there may be hope for it yet. Well worth a read if you want to organise better groups.